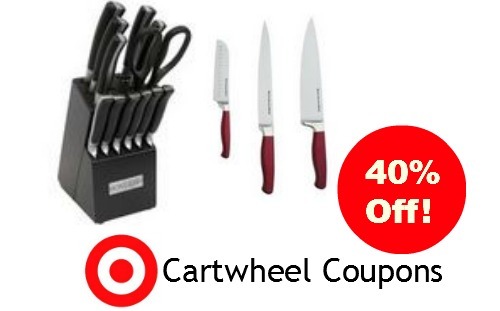 There are some new high value Target Cartwheel coupons for kitchen knives. There is 40% off KitchenAid or Oneida Knife sets, and these can get pricey, so it’s a great savings with the coupon. These knives can make great wedding gifts or nice sets to replace your old knives.